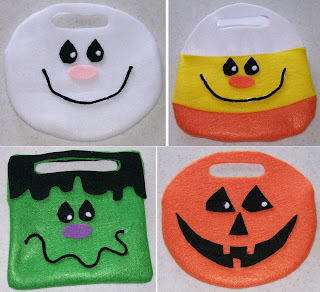 VERY CUTE Trick or Treat bags! Ghost; Pumpkin; Frankenstein; Candy Corn. 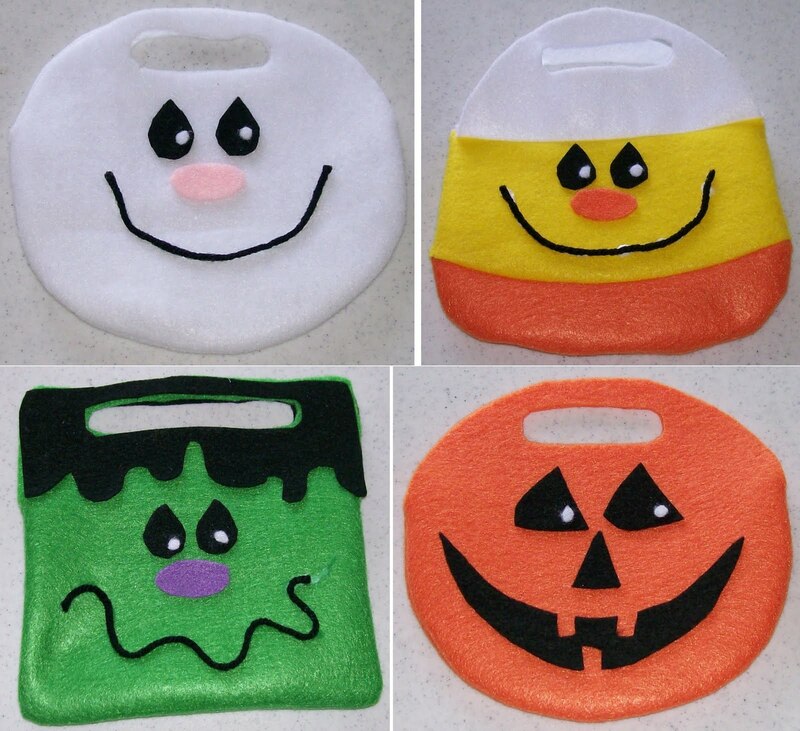 All 4 are VERY EASY and QUICK to make - uses felt, a little bit of sewing, a small piece of yarn and some craft glue!! Finished bags are approx. 6.5"x6.5"